A Tagalong basically turns a regular bicycle into a tandem bicycle for one adult and one child. The kids have loved being able to peddle when we bike together, and they can see much more since they’re sitting up higher. 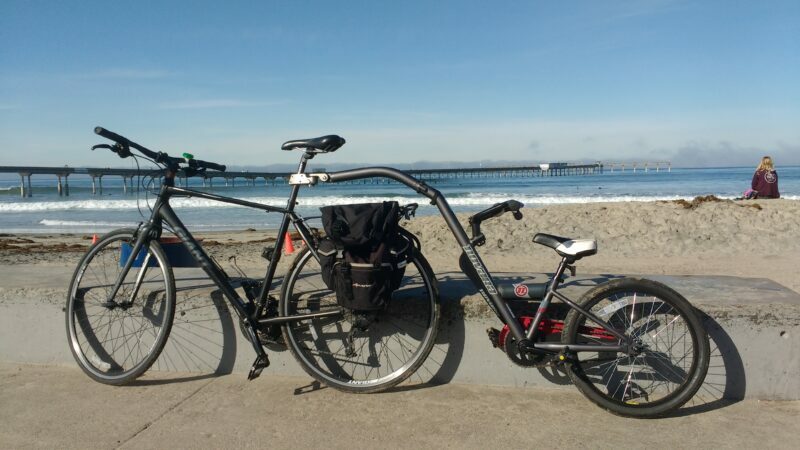 Here’s a photo of what the Tagalong looks like hooked up to my bicycle in front of the Ocean Beach Pier. 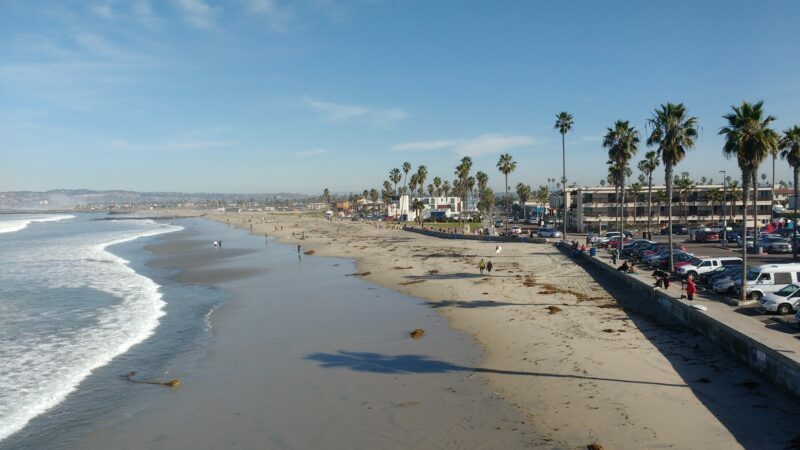 I’ve mostly been biking around my neighborhood in North Park with the kids but had been wanting to go somewhere more scenic and with a longer route to enjoy. 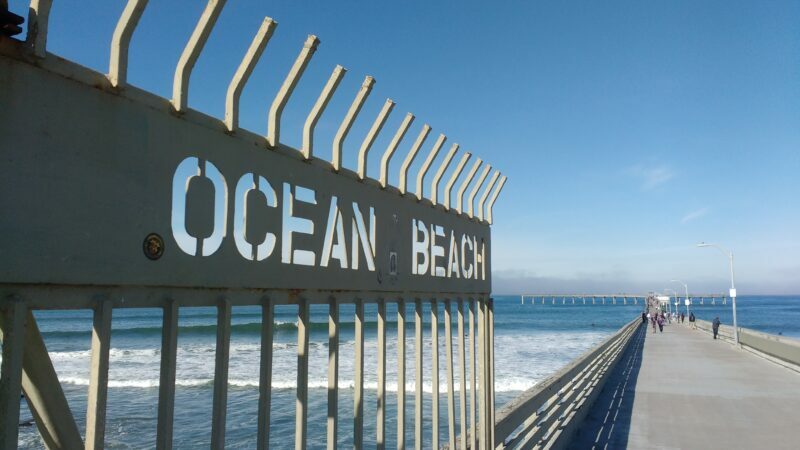 Since we often visit the beach in Ocean Beach it seemed like Sunset Cliffs would be a great choice – mostly flat, great views, and easy to bike to from the Ocean Beach Pier. 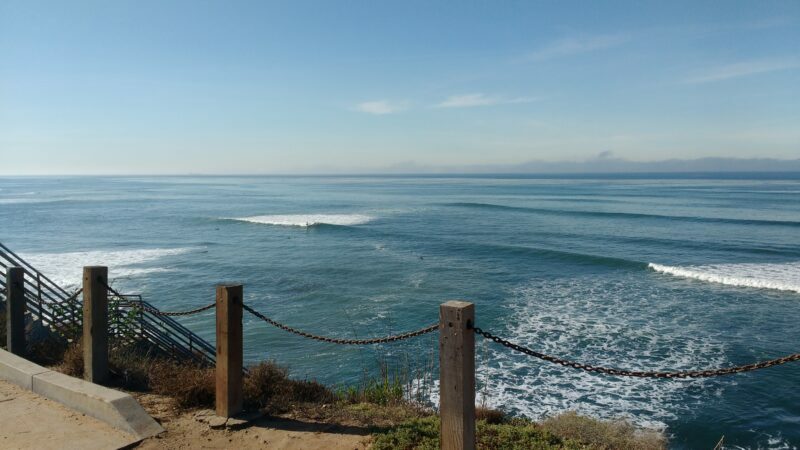 Sunset Cliffs is very popular for biking, walking, and jogging. Due to erosion of the cliffs there is not a consistent running path or bicycle path – there are some portions that have a dedicated space and others that do not. It would be great to see a wider running and bicycle path in this area, perhaps a future improvement that would be well used given the popularity of the area. 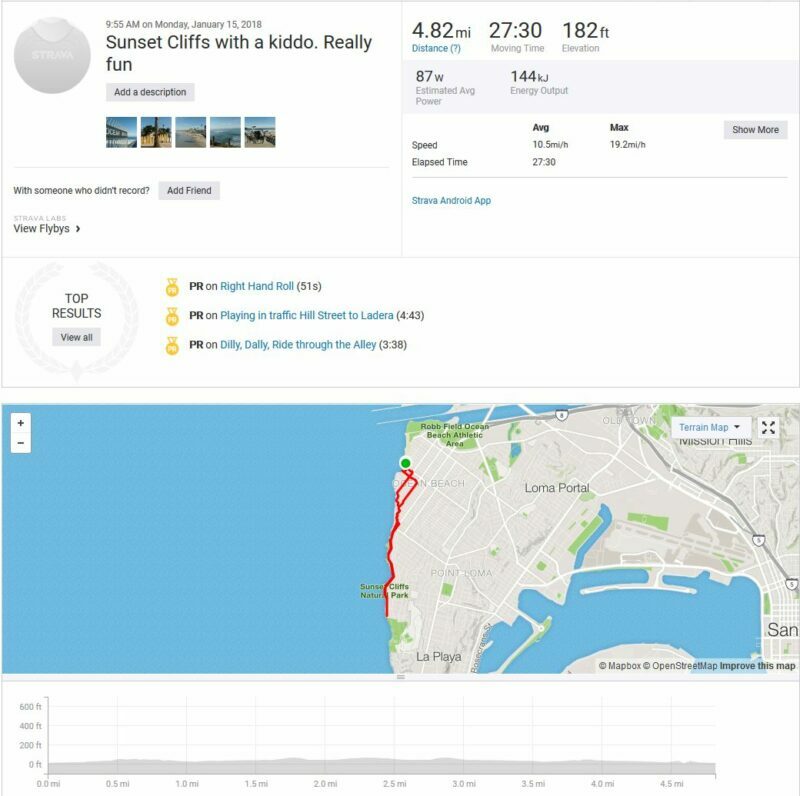 Below is an image of our route and some statistics from Strava, a total of 4.82 miles we rode in 28 minutes. 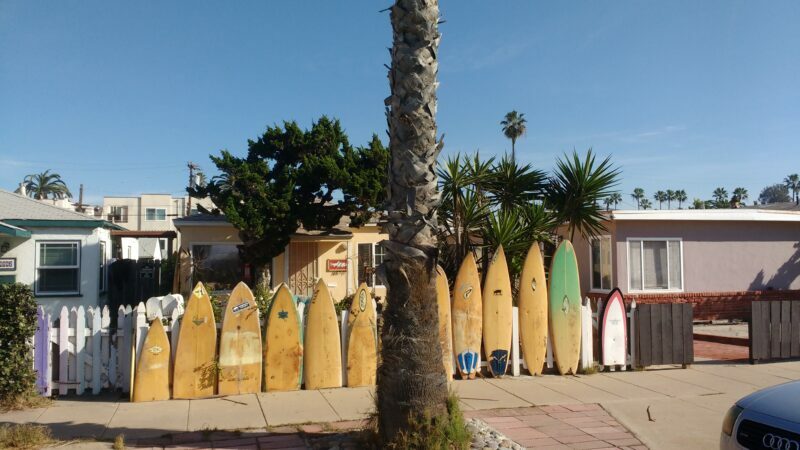 If you’re looking for a fun, relaxed ride with awesome views check out Sunset Cliffs sometime. And enjoy your ride!